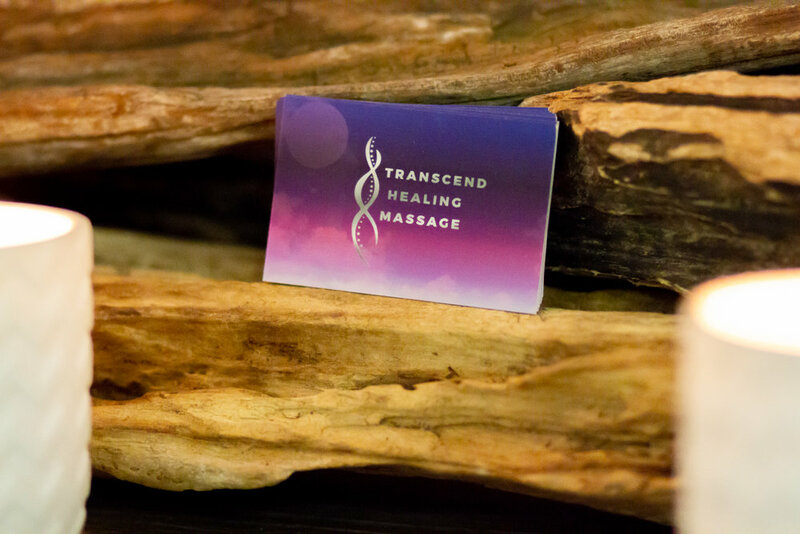 It's all about the details at Transcend Healing Massage. Upon your arrival at our comfy boutique studio, you will receive a personalized consultation in order to find out what kind of massage experience you’d like and what areas need specific attention. Our caring therapists check in and adjust your session for pressure and comfort to ensure you get the perfect massage every time. Talking is kept to a minimum so that you can relax in peace. We use pure essential oils, organic coconut oil and comforting weighted heat pillows in every session to calm the spirit and facilitate healing at the deepest levels. We take our time with our clients and it shows by the care we take in crafting the perfect massage experience. We get to know you as an individual and not "just another body" on the table. Your session will never feel rushed and impersonal. All of our therapists are constantly learning and evolving as body-workers and are specifically chosen not only for their excellent hands on skills but also their kind and calm presence. Whether you need area-specific muscular healing or a relaxing way to de-stress, you will never want this session to end.